This is a game which provides you with the opportunity to develop it further - for a start you can redefine certain characters giving it more animation. 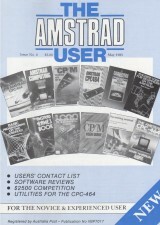 We will give a choice of software to the value of $25 to the best enhanced version we receive by the end of June 1985. The instructions for this original version are contained within the program.